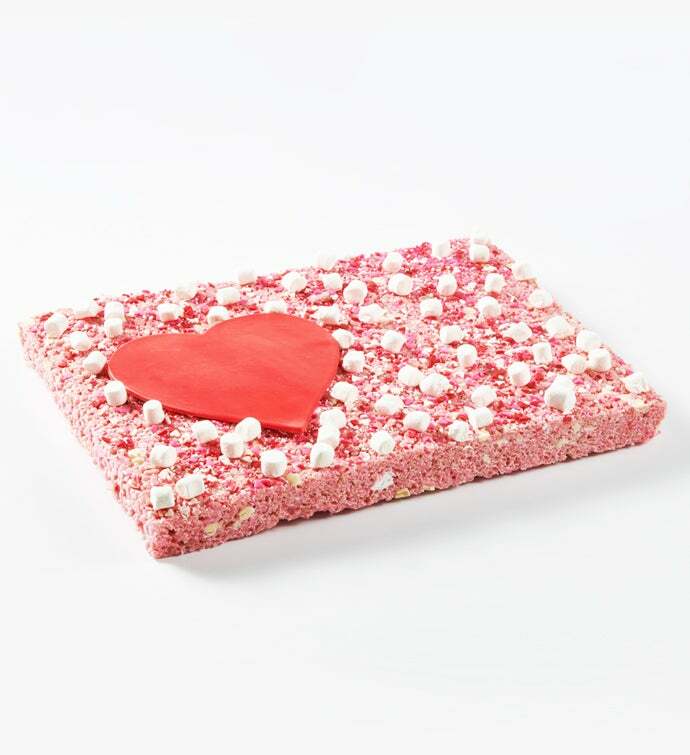 Treat House "I Love You Party Bar"
GIANT strawberry shortcake flavored Rice Krispy Treat, garnished with an adorable fondant heart. The giant treat serves 15-20 people, and is presented in an elegant display box. 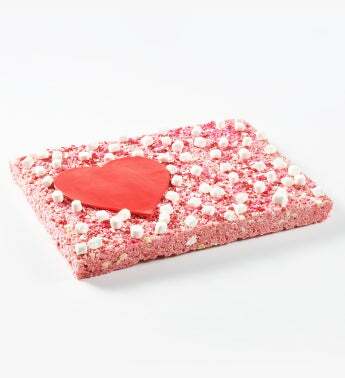 There no better way to say "I Love you" than with our Giant Rice Krispy Bar.